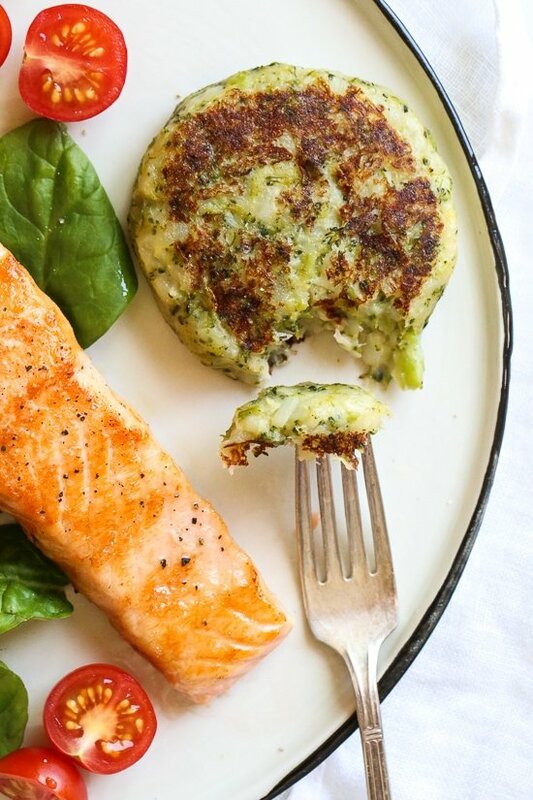 These easy, copycat Ikea vegetable potato and broccoli cakes called Grönsakskaka make a delicious side dish for breakfast or dinner! Made with potatoes, broccoli, leeks, onions and cheese, so good! My aunt had a brunch for Mother’s Day and had a beautiful spread, which included these Potato and Broccoli Cakes. When she told us they were frozen from Ikea, we couldn’t believe it! My aunt helped me recreate them, they taste just as good as the original, with less calories of course! Kid-friendly, perfect for breakfast or brunch with eggs or as a side dish with salmon, chicken, or serve two as a main with a big salad.